A page from my sketchbook that I did when I found out I had low iron. 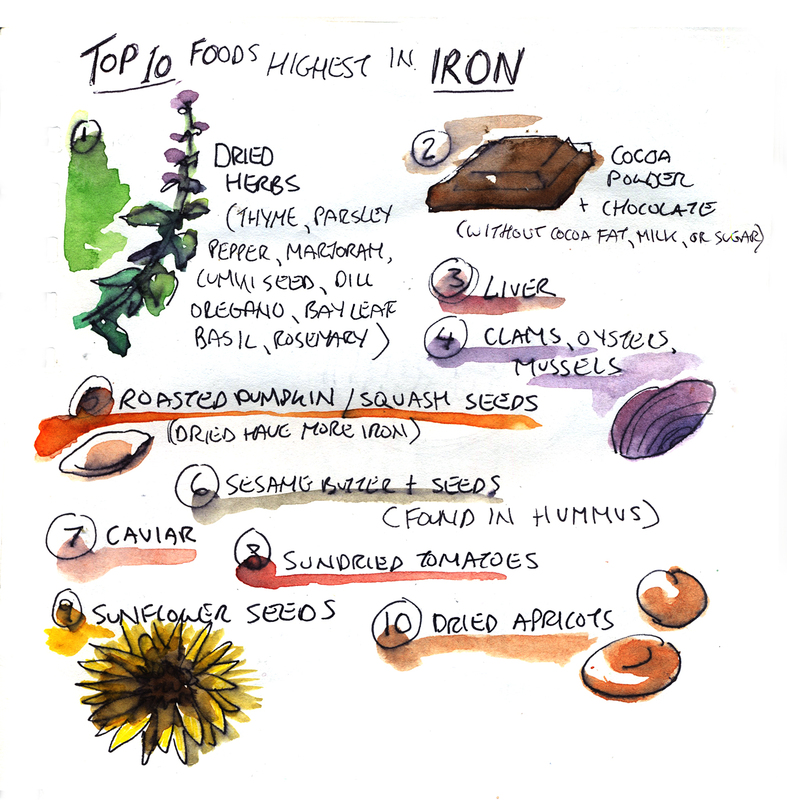 My doctor recommended looking into iron-rich foods, to help maintain my iron once it was at a better level. Low iron is very common, especially in women! I wanted a list of iron rich foods other than meat products, since just eating iron rich meat is not enough. 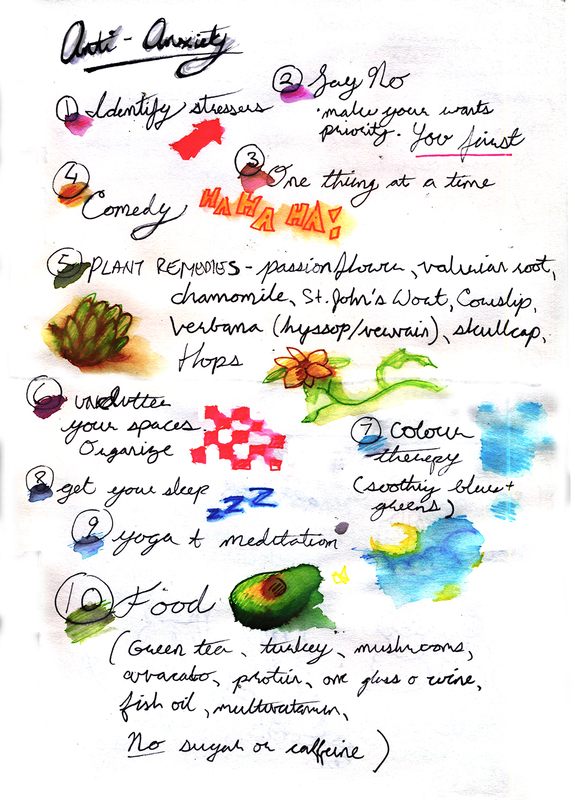 Along with that, I made a page of anti-anxiety techniques and reminders. I had struggled with anxiety a lot in college, and occasionally ever since.